Every Linux user knows how powerful the command line is, especially when you manage servers. And if you have to deal with the command line frequently, it is very important to work efficiently and quickly. Here are some tips I know that would allow you to work faster with the command line. Feel free to include your improvements in the comments! and the editor will open the last file without you typing the whole command. Using !! is the best way to re-call the previous command. It is actually faster than using the arrow keys. For example, when you forget to type sudo before the previous command, to re-run it with sudo, you just need to type sudo !! 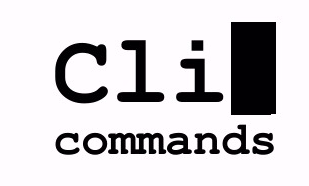 will run the #123 command in your command history. it will show you a list of all the mv commands you used, that are stored in your shell history. You can modify the history size within your .bashrc, .profile, .zshrc, or a separate file with all your custom variables (don't forget to include it in your main shell config file) depending on the shell you use. Another way find a command you used before is the key combination Ctrl+R. Unlike history, Ctrl+R shows only one command. For example, if you want to find out a file you moved some time ago, you can just hit Ctrl+R and type mv. This will show you the most recent mv usage. Ctrl+R can be also used to search for every matching string, not just the very last matching command. Sometimes a command will take long to finish. It's best then to put it to background. To put a running command to background, you will need to suspend it first. Just hit Ctrl+Z and the running command will be suspended.